Kalisto tossed a few chairs into the ring before the bell. Kalisto tossed a chair at Corbin and kicked at it. Baron nailed him and set up a chair in a sitting position. He teased a powerbomb but Kalisto nailed a sunset flip maneuver to escape and sent Corbin into the chair. He dropkicked Corbin in the chair, sending him to the floor. Kalisto hit a dive to the floor. Back in the ring, Corbin nailed Kalisto and sent him to the floor. He rammed him back and forth against the apron and the barricade, manhandling him by the mask. He throttled Kalisto into chairs that were set up at ringside. Corbin tossed him back into the ring and nailed a big right before covering Kalisto for a two count. He worked over Kalisto. He set up a group of chairs facing each other in the center of the ring. Corbinwent to send him into a chair was was wedged in the corner. Kalisto slipped away and sent Corbin into the chair head-first. Kalisto went to the top and hit a seated senton through the chairs on Corbin for a two count. Kalisto went to nail a dive to the outside on Corbin but was caught and hit with the Deep Six on the floor. Corbin beat the hell out of Kalisto and then began angrily slamming chairs down in a pile. He’s showing some really good angry traits here. Kalisto went to the floor. Corbin stalked him with a chair. Corbin missed him and nailed the announcing table and the barricade. Kalisto finally nailed a kick, sending him into the ring steps. Kalisto nailed a rana off the barricade to the floor. He nailed Corbin by tossing a chair at him, then dropkicked him into the barricade. Really explosive babyface comeback. Kalisto nailed a springboard legdrop. He nailed a moonsault, driving his knees down onto Corbin, who had a chair laid out across his chest. Kalisto grabbed at his legs but recovered to make a two count. Kalisto began unloading with a chair like it was a Louisville Slugger over and over on the big man. Kalisto went for the Salida de Sol but was shoved off. He kicked Corbin and went to the top but when he leapt off, Corbin smashed him in the face with the chair. Corbin nailed End of Days on a pile of chairs and scored the pin. 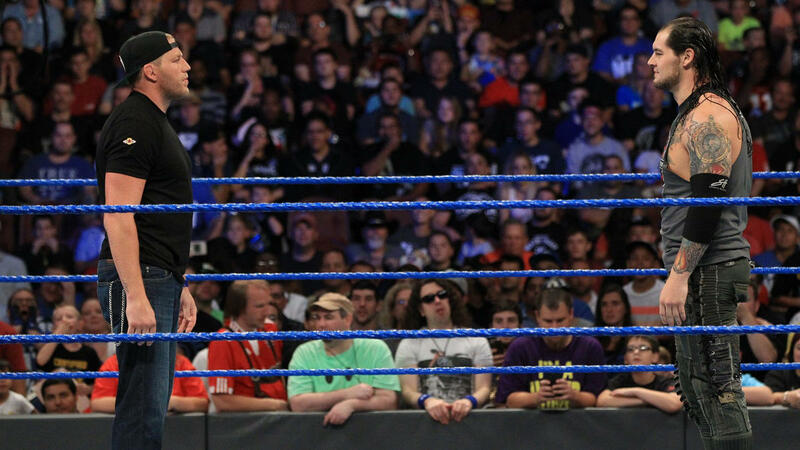 After the match, Corbin ripped the top off the announcers’ table and screamed at Mauro Ranallo that what just happened would happen to everyone who fought him – End of Days. 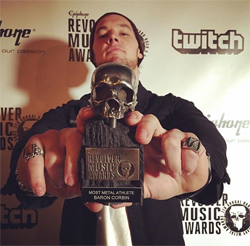 Click Below to read what Baron Corbin is doing this week on Main Event! We are back and Jack Swagger joins the commentary team for the next match. Corbin slaps Crews and Crews punches back. Crews with a flying boot and then he hits a fallaway slam for a near fall. Corbin goes to the floor and Crews follows and he connects with forearms. Crews sends Corbin into the ringside barrier. Crews with an enzuigiri and then he sends Corbin back into the ring and Crews gets a near fall. Corbin drop kicks Crews through the ropes and to the floor. Corbin with forearms to the back of the head. Corbin puts Crews against the ring post and stretches him as the referee warns him. Corbin with a drop kick to the back while Crews is against the post. 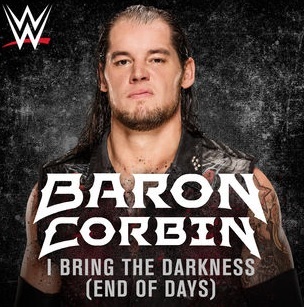 Corbin with End of Days for the three count. After the match, Corbin goes over to the announce table and Swagger gets up. Corbin tells Swagger he should have stayed on Raw.